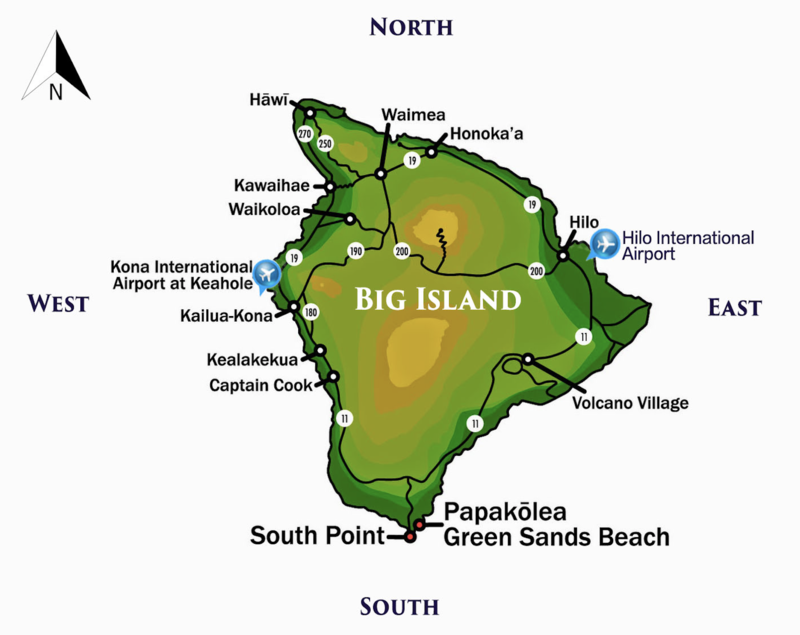 Big Island circle tour, visit the East, South, West and North Coasts. In the morning leave for the Akaka Falls and view the 150 meters long waterfalls & experience Hawaiian lash tropical forest. 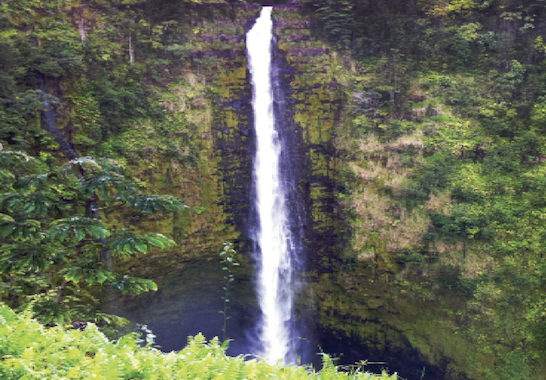 Visit Waipio valley, where the first King of Hawaii Kamehameha grew up. Next, we will have lunch in the beautiful town of Haimea, where you can enjoy grass fed beef from local pastures. After lunch, we are going to the Temple Hawaii Kingdom facing ocean built with bare hands. And there is the chance to see whales (Dec. to Apr.). Last stop Hapuna Beach (White Beach), the world’s ten most beautiful beaches for ten consecutive years. It is also the largest natural white sand beach in the Hawaiian Islands. Return to Hilo hotel in the evening. Leave east coast in the morning and enjoy the taste wine in the 4,000-foot-tall paradise on the Big Island. Then come to Hawaii’s largest black sands beach Punalu’u beach, which is the largest green sea turtle spawning grounds, you can see the nest of green turtles resting here. 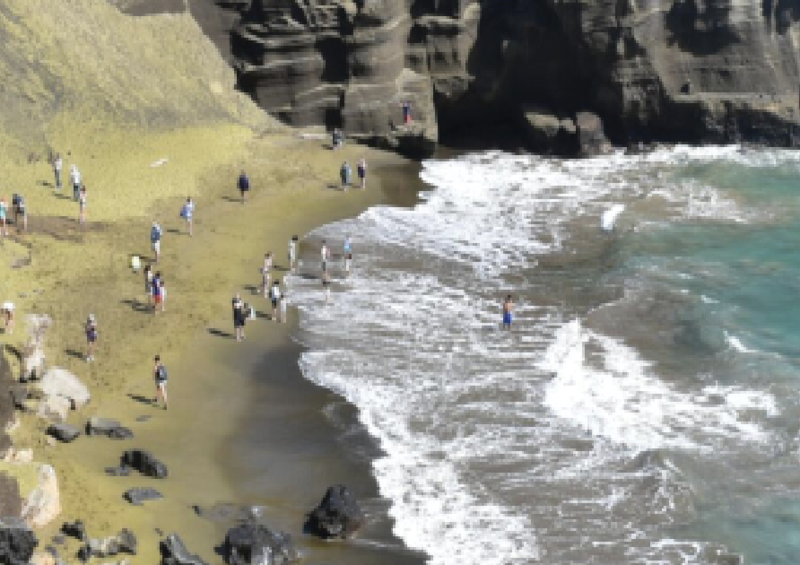 Then we will take the shuttle bus to Papakōlea green sands beach in the south coast, most part of the islands of Hawaii. The whole area is green and is simply a giant Matcha mousse, standing on top of the hill overlooking the entire green beach like a delicate jasper display in Haitian. Come to the southern tip of the United States, South Point, with a charming picturesque coastline, spectacular scenery, the magnificent waves, standing on the cliff, here a platform for people to jump, attracting many adventurous travelers. Then arrive KAU coffee farm, the famous Hawaii desert coffee. In the evening we will be taken to the Courtyard by Marriott Kona Beach, the west coast white sand beache. One day let you experience the black, green and white beaches will definitely make you a memories trip. Evening transfer to Kona Airport.